Kiran Mody was promoted to Assistant Administrator, Support Services in July 2018. He is in charge of support services departments such as Facilities Management/Plant Operations and Maintenance, Construction/Renovations & Project Management, Environmental Services/Linen Management, Security Services, Mailroom, Environmental Health & Safety, Emergency Management and Nutritional Services. Mr. Mody also serves as Chief Safety Officer, Emergency Management program leader (Incident commander), and deputy Corporate Compliance officer for the Hospital. Since joining Calvary in 2012, Mr. Mody has successfully led overall Environment of Care, Life Safety, and Emergency Management activities under the Joint Commission standards and managed day to day operations of the Facilities Management, Environmental/linen Services, and construction/renovation and capital improvement activities of the hospital. In addition, Kiran has supported implementation and maintenance efforts of the Corporate Compliance program and hospital wide compliance matrices, including risk assessments, and monitoring/mini-audits of compliance matrices. 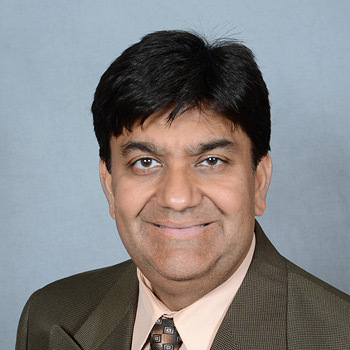 Prior to joining Calvary Hospital, Mr. Mody worked at various New York City area hospitals as a Safety Director, managed Environment of Care/Emergency Management efforts, and led day-to-day operations of Facilities Management/Construction activities. Mr. Mody is Certified Healthcare Facilities Manager (CHFM), Certified Healthcare Safety Officer (CHSP), and Certified Healthcare Compliance (CHC) officer. He graduated from New Jersey Institute of Technology with a Master of Science degree in Occupational Health and Safety Engineering and from Rutgers University with a Bachelor of Science degree in Electrical Engineering. He resides in Parsippany, NJ.